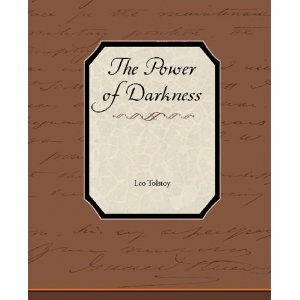 The Power of Darkness is one of Tolstoy’s plays. As the name suggests, the plot deals with the complete moral disintegration of a Russian man, his lover and his mother. The play was instantly banned in Russia when it was fist published. And even to this day, some scenes are enacted slightly differently to attempt to shield audiences from its morbidity. Nikita is a philanderer, infamous for the number of maidens he has despoiled. He engages in a stint of romance with a rich farm-owner’s wife, starting a string of misdeeds. The farmer’s wife is infatuated with Nikita, and bemoans her miserable life with the grumpy old farmer. Along with Nikita’s mom as accomplice, she poisons her husband and weds Nikita, who turns into a wealthy farm owner. When life should have been blissful after the sin of murder, it sadly does not. Nikita can’t stop his old habits, and he indulges in drinking, debauchery and indolence. As his mother and wife try to erase and cover up his sins by committing even more atrocious sins, Nikita’s conscience eventually awakens and he struggles to redeem what is left of his life. The play is definitely disturbing as it illuminates the extents of moral degeneration mankind is capable of, to achieve petty selfish gains. I am sure such a theme would have appalled the Victorian society. It’s a surprise this play has sustained stiff criticism and opposition to be available in print today. However, most classic books of that era dealt with such drastic themes exploring the flip side of morality and virtuous living. They all seem to show that despite being pushed to the limits of darkness and being steeped in vices, something in us will cry out after a certain point. That voice inside of us can be attributed to our conscience, basic humanity (the "voice" of God), etc, but it acts as a safety net to guard us against total moral/ethical dystrophy, or at the very least from losing our humanity. It’s therefore a “silver-lining” that the play ends on a note that shows hope for humanity, even if we are to fall prey to our darker instincts.